Home » Blog » Email Marketing Not Working? Here’s why. You are sending way too many- or worse, too few emails. Emailing your subscribers’ every other day is one of the best ways to increase your unsubscribe rate, but it is equally detrimental if you are not sending enough emails. So what’s the magic number? Scheduling sends every two weeks is considered the “sweet spot” in terms of getting more unique clicks and minimizing your rate of unsubscribes. Subject line fail. With so many email messages to scroll through, how do you make yours stand out? Personalizing your subject line is the first step. You will need to grab the reader’s attention through an intriguing message, while meeting a need or demand they have. Too many words. Considering that most recipients are opening your email on their phones, the time you have to make an impression is not much time at all. Focus on being concise with your messaging and always have a direct call to action. Not targeting your audience. Your contacts will respond positively to messages that are personalized to them. This is where segmenting your list of contacts comes into play. Not validating your list of contacts. An email marketing campaign is only as good as the email addresses you are sending to. Rather than hope your emails reach the right person, it is important to validate and frequently filter your list of contacts to increase the odds. Our custom web-based / lead generation software allows us to ensure the accuracy of all email addresses received from client contact forms, registration forms, and opt-in forms. Bounce rates are reduced and return on investment is maximized using our email marketing campaign system. Not offering value. Every email marketing campaign should have the end goal of the recipient responding to your call to action. This should be emphasized throughout your written and visual content. Working with a company that has the experience targeting your specific audience and creating a powerful message with compelling content is vital to the success of your campaign. Not monitoring the results. If you are not paying attention to your campaign analytics, you are missing out on maximizing your results. With every new campaign, you should be monitoring the open rate, click-through and conversion rate. Does an email sent at one time of the day get a better result than another time of day? Does one subject line make more of an impact than another? Continually adapting your message and timing to fit these campaign analytics will help you maximize your email marketing ROI. Not defining the goals of the campaign. 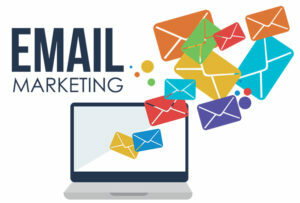 If you are not defining your email marketing goals, it is going to be difficult to get the return you are looking for. Your goal might be to get more clients, increase your number of referrals, or drive more traffic to your website. Select an objective and use it as the basis for your content and messaging. Interesting fact: Did you know your list of email contacts decreases by approximately 23% each year? This includes contacts that opt-out of your email sends, move from one firm to another or simply stop using the email address you have on file for them. When you grow your list of email contacts, you will in turn grow your business! We did a posting on the proven ways to grow your list of email contacts, which focused on tips to help attract and entice new email subscribers and grow your list of contacts. At Pristine PR we are continuously adding value to our services. Constantly adapting and offering our clients the latest marketing technologies to keep them ahead of the curve and their competition. This is what drives our business. We offer our clients the best! We utilize top graphic designers and software engineers to create our highly customized e-blasts and e-newsletters. Call us TODAY to see how a strategic email marketing campaign can help grow your law firm and generate new leads.